An Eid With No Internet Ban – Eid Mubarak! Waking up to the chink of crockery, the first thing we do on waking up on Eid is to grab our phones and check for Internet connectivity (nevermind, this is a daily routine for a Kashmiri). The heartbeats become abnormal as the Instagram refuses to fetch any updates, and the day starts with occasional cussing of lady (un)love, beloved Chief Minister of this begotten state. But soon pops up a google card and you realise you are in the weak wifi connectivity zone of your room, so you jump out of your bed to refresh the feed once again, and “last updated 5 secs ago” is a breather for you. So, the Internet hasn’t been banned this Eid. Eid Mubarak, indeed! The breakfast with the fam is my favourite part (because, Eidi!). We will come to cash thing later, but first food. FOOD. So, Eid means not paying attention to your blood-sugar problems and eating a whole slice of cake to be followed by a very local Kashmiri totka ‘azz khyemo akh phol alawai’ (I’m gonna take some extra meds). In an attempt to make Eid a little more sweet than usual, the medication is doubled by the pseudo-doctors (every family has one or two) in the family. And then Eidi! The most important part of the breakfast table! You will have the tiny tots of your family putting up the most innocent face and talking to you in the Lata Mangeshkar level melodious tone till you hand them their Eidi. And then the rest is history. Nevermind, maybe this works in your family! The men somehow get convinced to pray nearby and stay away from the dangers. The ladies do this by hitting up the chords of “Be ches rozaan adaei (This makes me restless)” line. This line never gets old! The prayers are followed by the clash updates from across the valley and then the elderly people make a self-analysis of how the ‘haalaat’ are going to be throughout the day. Soon after Namaz ends, there begins the hunt for the butcher. Well, we have 700,000 here, but they are only skilled to kill our future. Psst! They are in uniform. Okay, conflict apart, the neighbours are the closest on Eid day ’cause if they get a pujj, you know your sheep are next as you won’t let go! You are blessed with a butcher and your Bhedu is sent to Jannah. Hashtag RIP. And it’s time for distribution! Na goadde khyemov batte, patte gassi tczyer! Ahaan! Though you don’t help your mom in the kitchen; but you gotta be busy with your snapchat stories, yeah? Hashtag Yakhni. Hashtag Mom is the best chef. Hashtag Good food. Hashtag kaam chor? Hashtag kaam chor. Let’s hear it up for, malaal time! The meat-ing time! You need to make sure no relative or neighbour is left out especially those who are always high on hatak scale. Make sure, they get a good phol, lest listen to their criticism for all the coming Eids. Done with the distribution? Congratulations! 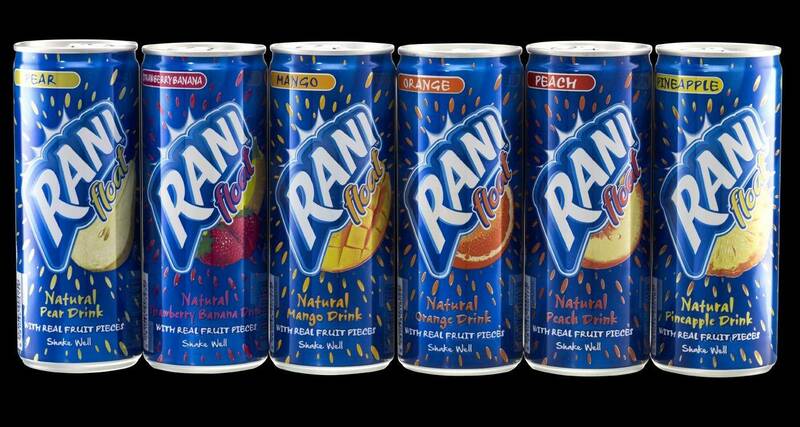 You have the highest collection of Rani juice cans! Feel on the top of the world yet? Cool! An Eid Without A Barbecue? No wait! Barbecue post! You need to post a picture with a tujj, or how will the society accept you!? But your exhausted body refuses to fan the bbQ flames, so you are back in bed posting a bed time selfie! Hashtag tired. Hashtag BBQ tomorrow. Hashtag Best Day. But oops! The story isn’t posted. And Instagram begs you to tap to retry but you wonder why they banned the Internet so late and your tired body falls asleep. Silly you! The Internet is still working! Alas! You have once again landed in the weak WiFi connectivity zone of your room! Get up! Get closer to your WiFi and stay up to date. Wish you all a very happy Eid! Keep your worries away from the heart, and broadband closer to your room! Zainab Mufti is a 12th class student and a passionate photographer based in Kashmir. Been passionate about pixels since past two years, she gains confidence with every frame she creates. Alongside photography, she likes writing too.